"Reiki & Crystals with TLC"
Dreamstone Holistics - Therapies & Training (DHTT) is run by Helen Jane Meyrick and was first established in 2005 as Dreamstone Therapies. Helen is an experienced therapist offering a range of holistic treatments including Reiki, Crystal Therapy, Tuning Fork and Indian Head Massage. Helen is also a qualified teacher offering training in Crystal Healing to Diploma level, Reiki to Master Teacher level and meditation in South East Wales. Helen is a member of the Complementary Health Professionals (CHP) and a registered school with CHP, who accredit her courses & workshops. Vegetarian? Vegan? 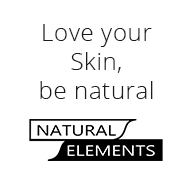 Or just want to treat yourself & your skin gently, then check out Natural Elements!